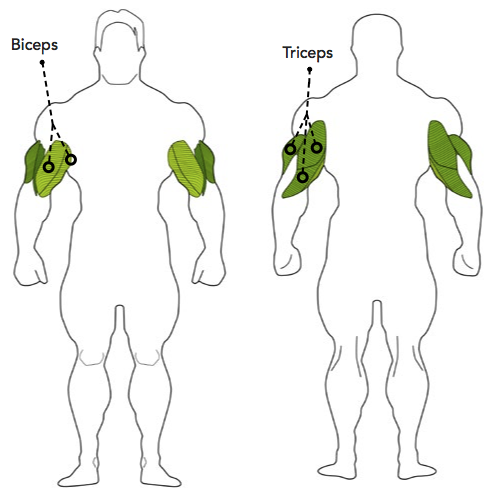 The Kettle Bell Biceps Curl is an upper body exercise that primarily targets the biceps, but also works the forearms. This is an isolation exercise which is well suited to beginner lifters. Stand holding a kettle bell in one hand with your palm facing forwards. Lift the kettle bell in a slow and controlled manner by squeezing your biceps and keeping your elbow tucked in by your side. 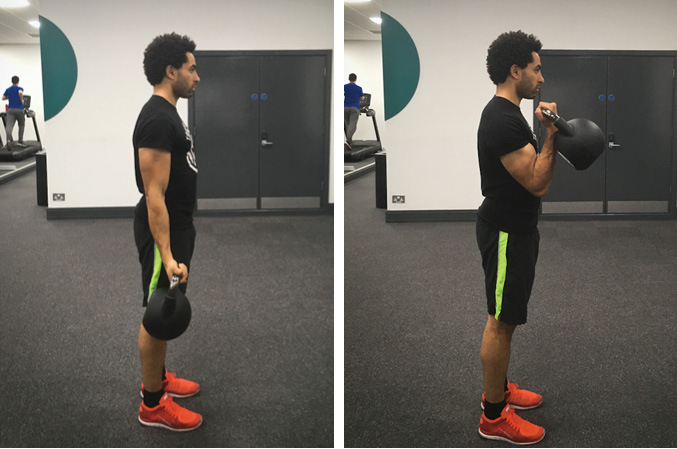 Slowly lower the kettle bell until your arm is almost straight and then immediately lift it again – don’t fully straighten your arm and lock it out or you will release the tension on your biceps.